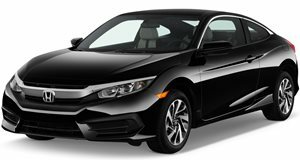 Honda has officially confirmed the 16th US death in one of its vehicles due to a faulty Takata airbag inflator. Late last week, the Japanese automaker stated that following a joint inspection with the National Highway Transportation Safety Administration, a faulty airbag inflator was to blame for killing a 2002 Honda Civic driver in June 2018 in Buckeye, Arizona. The Takata airbag debacle is the largest recall ever, with 56 million inflators having been recalled in the US for 41.6 million vehicles. Takata filed for bankruptcy in June 2017. 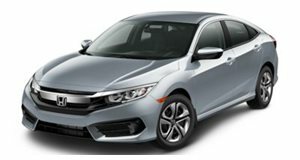 The Honda Civic involved in this latest fatality has been under recall since December 2014 and at least 21 recall notices were sent to previously registered owners. Sadly, the recall was never done. The driver who was killed only bought the Civic three months prior to the crash. Why didn’t Honda make an effort to notify the latest owner? Because it claimed it was unaware of an ownership change. There is al no federal requirement for used car sellers to have the cars repaired or even inform buyers for any unrepaired recall issues. All told, more than 290 injuries worldwide have been connected to exploding Takata airbag inflators. A total of 19 automakers, including Honda, have recalled vehicles due to this issue. There were over 100 million potentially fatal inflators installed in vehicles worldwide. Earlier this month, Honda and Acura issued yet another recall for 1.2 million vehicles in North America following discoveries made from a Honda Odyssey crash. Its front airbag deployed and injured the driver’s arm. Honda and its luxury division, Acura, are not the only automakers to have fitted their vehicles with Takata-sourced airbags. The likes of BMW, Ford, Ferrari, Fiat Chrysler, Mazda, Nissan, and Toyota all bought airbag and inflator systems from Takata for their vehicles which have since all been recalled.